It’s that time of the year when everyone is trying to eat a little healthier. 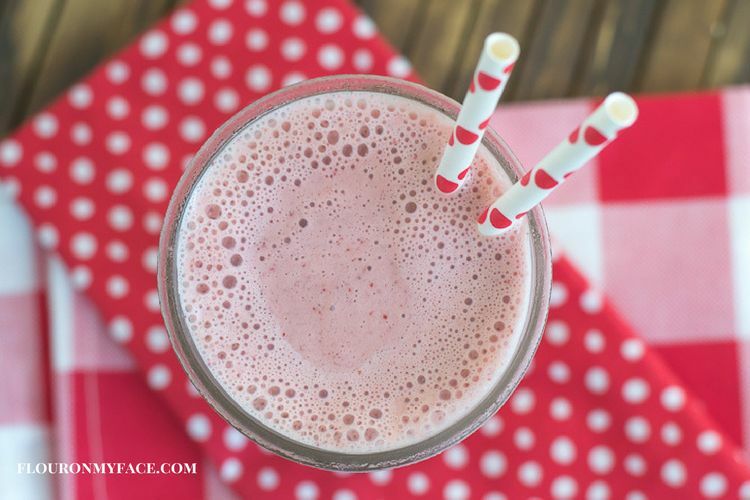 This Sweet Cherry Kefir Smoothie recipe is a great way to start the day. One of the best ways to take your smoothie game up a level is to use Kefir as the base of this healthy and delicious cherry smoothie recipe. I love the tangy flavor of kefir. Kefir is great for adding more friendly probiotics to your diet. Like yogurt Kefir is packed full of beneficial bacteria and probiotics. Back when I first learned of the health benefits of kefir you had to get your hands on some active kefir grains and ferment your own kefir at home. It was a messy process that didn’t always work out the way I hoped. It’s a time consuming process that has to be tended on a daily basis and most of the time my homemade kefir got way too fermented for my tastes. It wasn’t long before I gave up on it. You can buy kefir in almost all stores that sell dairy products and I can enjoy this healthy cultured drink any time I like. It is available in plain and flavored. 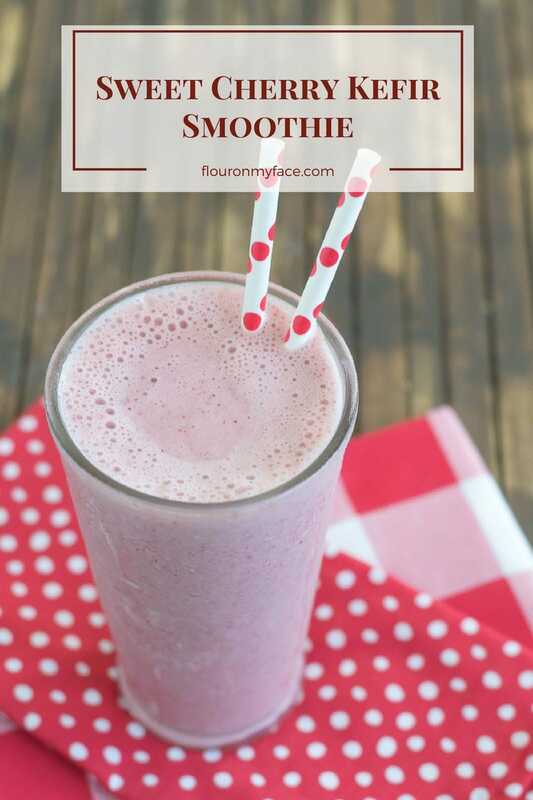 For this Sweet Cherry Smoothie recipe I used plain unflavored Kefir so the sweet flavor of frozen sweet cherries would shine through. This Sweet Cherry Kefir Smoothie recipe is a great way to start the day. One of the best ways to take your smoothie game up a level is to use Kefir as the base of this healthy and delicious cherry smoothie recipe. I always forget about cherries when making smoothies, but I bet they would be delicious! I have never tried making kefir, but do grab it up when I can find it at the store! Cherries are the perfect fruit base for a smoothie recipe. I remember my sister made some kefir for a while, but I’m not sure how it turned out! I made some dairy free water kefir once, but I’m not sure it turned out right. It definitely takes a lot of work to make kefir! I’ve never tried making water kefir but the dairy kefir was way too much work. I’m so glad I can buy it now! Kefir is such a wonderful and healthy ingredient. I love using it in pancakes, and in place of buttermilk. This smoothie sounds delicious. I’ve never used kefir in place of buttermilk. It sounds like a perfect substitution. I bet it makes tender and fluffy pancakes. I’ll have to try it out. I love the color on this smoothie. Like how simple and easy this is. Can’t wait to try. Thank you Veena! It is pretty tasty! I love all thing cherry ! Thanks for the recipe! Thank you for sharing on Merry Monday! Sharing on Twitter! Have a great week!